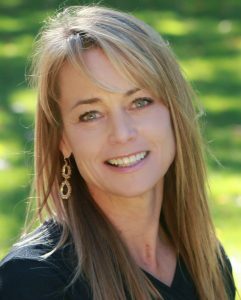 Lisa | Ashland Homes Real Estate Inc. Lisa | Ashland Homes Real Estate Inc.
My intention is to bring my innate desire to help people, strong work ethic and knowledge of Southern Oregon to both the buyers and sellers I serve. I have extensive experience in corporate sales and have been both a Personal Banking Officer and Commercial Loan Officer for Wells Fargo and US Bank, respectively. I hold a B.A. in Interpersonal Communications from the University of Southern California and am also a certified Life Coach and Yoga teacher in Ashland. These disciplines share my knowledge and commitment to serve, support and champion individuals through life’s transitions, which is what real estate is all about. I am thrilled to bring these capacities together to do what I do best…..tenaciously work hard and champion you! If I am not in the office, you will find me involved in my other passions of teaching yoga at Rasa Center for Healing and Wellness, offering yoga workshops for loss and trauma, spending time in the great outdoors with my husband and two daughters or running on the amazing trail system we have in Ashland with my beloved dogs and friends. Any free time I have left is spent in local volunteer efforts which include Hospice, Winterspring, Sanctuary One, Shine-a-Light, teaching yoga to kids at the Ashland High School and many other venues that support the human spirit. I hope to have the opportunity to represent you in your next real estate transaction! Lisa was an absolute pleasure to work with. She went above and beyond to provide support in the sale of my house. Because I was out of state during the process, her willingness to step in and provide extra support (coordinating with service providers, watering the lawn when my sprinkler system was temporarily out of commission, etc., etc.) was particularly important. Not only did she step up when others might not have, but she handled all the transactional elements of the sale with aplomb. If I had another real estate transaction in Ashland she would be the first (and only) person I called. Reinforcing my strong, unqualified endorsement of Lisa, I have bought and/or sold ten homes in various locations using over a dozen real estate professionals and she has been THE BEST! Lisa is an extremely knowledgeable, articulate and caring agent. She was very sensitive to our desires, needs and wishes. She has a great personality and was always open to our ideas regarding the sale of our home. We used Lisa both for the purchase of our new home and the sale of our prior home. Lisa was exceptionally professional and is very likeable. Her greatest strengths shone during the 5 weeks of a very challenging escrow during the sale of our home. She was communicative with us, direct with the buyer and negotiated the process with a calm grace. I would absolutely recommend her. When I saw Lisa BOUND up the steps to the home we wanted to sell, I knew that her energy and vigor were going to get the job done! Not to mention her positive reinforcement, along with her partner, during quite an extended process. Terrific attention to detail…and all through the complex “closing”, never once let up or let slip any detail. Very impressive…and, after many months, still vigorous and energetic. She’ll get the job done for sure! Since moving to Oregon in 1975 I have used six Oregon realtors. Lisa Norvell was such a pleasant surprise. She is the best realtor I’ve ever experienced. To say “it was a pleasure to work with her” would be a huge understatement. She was such a joy to work with. Additionally, when it came time to negotiate, she just made it so incredibly easy. When there were questions, she had contractors there right away to inspect and bid possible repairs. I even emailed her boss to let her know what a treasure Lisa Norvell is!